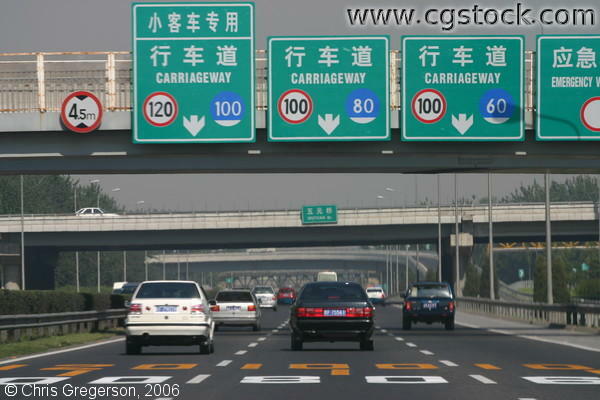 A nice, clean, new freeway in Beijing, China. The overhead signs have some English, and give speeds in kilometers-per-hour. I believe this road goes to the Beijing airport.